When you’re heading off on holiday there’s a never ending list of things you need to get sorted before you go and somewhere near the bottom of this list is usually the note ‘must book airport parking‘ . This is all well and good but it could end up costing you up 60% more than if you pre-booked in advance! 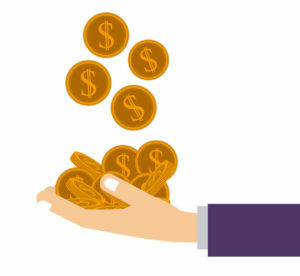 So to avoid this holiday faux pas, our friend Niall at SkyParkSecure has piled together some top tips to help you avoid paying more than you need to. Straight off the bat, pre-booking in advance will save you up to 60% off on the day gate prices, that’s pretty incredible right? You will often find airport parking companies advertise a headline offer of ‘Up To 60% Off Airport Parking’ But what they really mean is up to 60% off on the day prices. So now you know! Another added benefit of pre booking is the fact that your space at the airport is reserved, the last thing you want on the day of your holiday is to turn up at the airport and not be able to find a space. During the summer months car parks do fill up so remember to keep this in mind. Shop around and use consolidators. 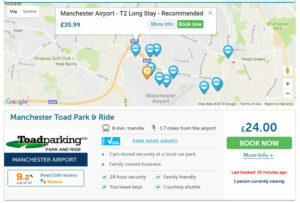 Consolidators like SkyParkSecure are similar to comparison websites, they compare prices of multiple car parks at each airports so you can easily find the car park to suit your needs at a price your happy with. This saves you having to go and individually find each car park and price it up yourself. It’s a No Brainer! SkyParkSecure also has a useful map feature which allows you to view which car parks are closest to the airport and how much they cost, so if distance from the airport is the deal breaker for you then it’s definitely worth checking this out! All the consolidator websites will offer extra discount on top on the 60% you will save if you pre book so sign up to email lists to receive monthly and even weekly offers. Look out for this at times of the year when sales are most likely i.e. Black Friday or the January Sales, consolidator websites tend to have huge sales on at these times of the year. In truth, Airport Parking isn’t as simple as it sounds. Gone are the days of simply turning up at the airport and parking your car, nowadays there different types, and booking the type of parking to suit your needs could save you time and money! After parking your car you would be transferred to the airport in a shuttle bus. Obviously these car parks are a little further from the airport terminals but can help you to save a lot of money. With a meet and greet service you would be met at the terminal by a fully insured chauffeur from the car park who often help you unload your luggage before driving your car to the secure car park. On your return they would meet you again outside the terminal with your car ready for your trip back home. These services cost slightly more than park and ride but are an ideal for those with young families, heavy luggage, business travellers, individuals with mobility issues or those just looking to treat themselves. Onsite parking is usually run by the airport itself and can be the most expensive option. The advantage comes through the convenience of your car being close to your terminal. So there you have it, a few quick tips to hopefully save you some cash so you can spend it on the more important holiday necessities (like extra bottles of wine!)! Sign up to SkyParkSecure’s email list here to receive exclusive discounts! The sign up bar is at the top of the page!